d. You must not yet have registered for college as a graduating senior. 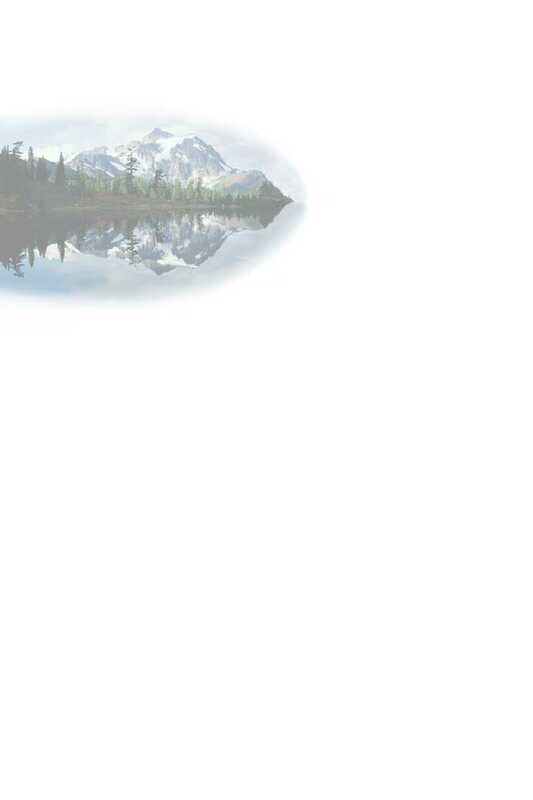 e. Team members must attend high school in Washington. f. Youth Director will then notify you to----- Then register your team on line. SAF club for an additional ($25.00). Where: Moses Lake. Grant County, Moses Lake, WA. Launch— Tweede’s Landing & Cascade Marina—Moses Lake, Wa. KELSO HIGH SCHOOL HIGHLANDERS BRAYDEN LIEBE & TREY HARTLEY TAKE 2018 WASHINGTON STATE CHAMPIONSHIP. 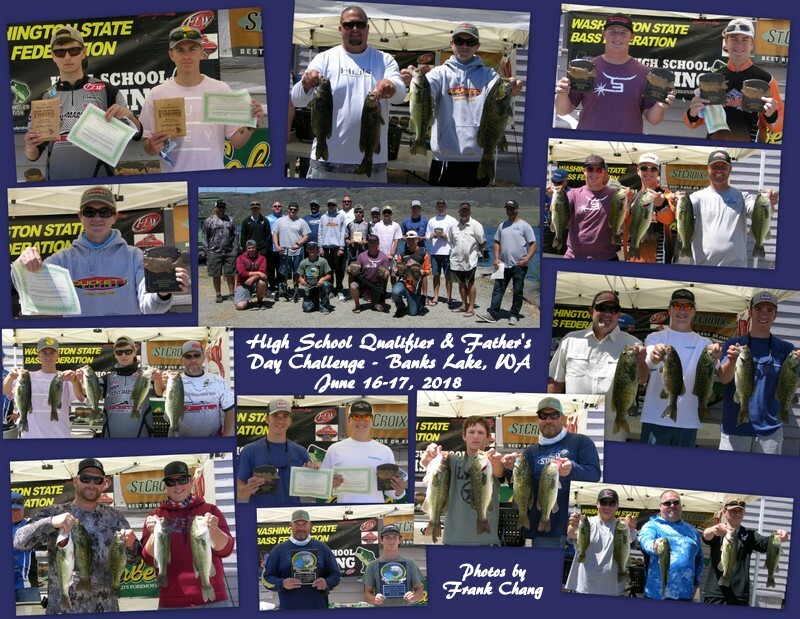 Moses Lake Washington was the site of this year’s closely contested high school bass fishing team championship. Thirteen teams found their way to central Washington to fish for the state championship. Braydon Liebe two time state champion and Trey Hartley lead by almost a pound before being assessed a weigh in penalty that cost them eight ounces. With the top four teams separated by less than a pound they managed to stay on top even with the deduction having a total of 16.84 lbs with five small mouth. Followed closely by Sumner High School Spartans Nathan Baesflug and Kyle Van Howt for second place with 16.59 lbs with a mixed bag of LM & SM bass, along with third place Bonney Lake high school Panthers Blair Peters & Brandon Beutler 16.31 lbs and big fish of the tournament 4.46lb LM. Trevor Huff & Wade Wilkins last year’s State Champions were a close fourth place with 16.04 lbs. Ten High School teams opened their season series at Pot Holes Reservoir with last year’s State Team Champions making a statement. Trevor Huff & Wade Wilkens put everyone on notice that they are carrying momentum into this year’s series with their eye on a possible repeat Championship this year. Trevor & Wade weighed in a 23.92lb bag of largemouth to top second place by more than five pounds. They worked the job corps dike and the back areas of the lake, to also have big fish of the tournament, a 6.75lb largemouth that Wade said took his bait just as he was ready to pull his bait back into the boat, having about three feet of line out caused a little excitement and everyone to scrabble to get the net before it snapped the line. Isaiah Garza & Jordan Gregory last year’s junior state champion took second place with 17.68lbs of largemouth, they hit a number of spots waiting to get the big fish bite but it didn’t happen. Third place went to Kelso’s Trystan Wallace & Jack Childers with 14.39lbs. A close 4th place went to last year’s big fish angling team of the year Blake Williams & Noah Whitten with 14.11lbs and almost big fish of the tournament a 6.58lb largemouth. 8. Separate Trophies for High School Angling Team of the year with ($2,000 dollar scholarship award). 10. Trophies to Teams & boat drivers (Dad’s) who compete in Father’s Day challlenge tournament weekend. 11. Separate Trophies for State High School Team Championship with Scholarship awards. HIGH SCHOOL ANGLING TEAM OF THE YEAR--------TROPHY & AWARD. 1. Will be the highest points standing of all four tournaments. 3. Will receive Tournament series Angling Team of the Year Trophies. 4. Paid entry for both Team members to the Adult State qualifiers for the following year. 5. They will need to join a TBF adult club to be eligible. 6. Under age high school or youth winners will have the following year tournament entries paid. 7. Each team member will also receive a St. Croix rod. HIGH SCHOOL STATE TEAM CHAMPIONS------TROPHY & AWARD. 1. Will receive Washington State High School Team Championship Trophies. 3. Will receive 1st place scholarship team payout. HIGH SCHOOL BIG FISH TEAM OF THE YEAR. 1. Will receive Tournament series Big Fish Team of the year Trophies. 2. Each team member will also receive a St. Croix rod.